The wine is Champagne. 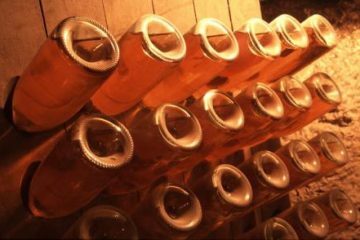 Grower Champagnes are increasingly popular in the U.S., but for most of us, most of the time, the Champagne at hand is a multi-vintage, multi-appellation product made in an attempt to produce a certain style every year. If you wrote that about California Chardonnay, the enophile would turn up his nose. I’ll have your Champagne, thank you very much. If I were writing this for a mainstream newspaper, I can see the point to hammering home that concept every month. But we’re enophiles here; we get terroir. Champagne is the most delicious wine in the world that breaks the roles of enophilia. How DOES one go about making several hundred thousand cases of wine that taste the same year after year in one of the world’s coldest wine regions, where grapes barely ripen? 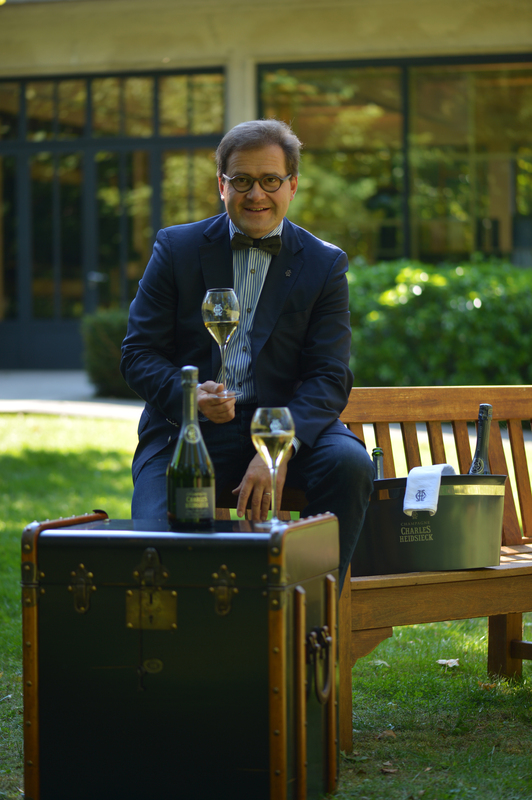 Cyril Brun is the winemaker for Charles Heidseick Champagne, which last year broke another rule of the wine business: it released its vintage wines out of order. We started to talk about the bigger side of the Champagne business, the boatloads of wine with which ordinary people celebrate their weddings and promotions and baby showers. You might find it ironic where we end up. A quick glossary note: “reserve wines” in Champagne are still wines stored in barrels or tanks for years until they are needed for blending. For example, a winery might make its nonvintage Champagne this year mostly from the 2014 vintage blended with reserve wines from 2008 and 2003. Me: Isn’t that confusing for distributors and retailers, to have an ’06 to sell before the ’05? Brun: “The distributors are quite happy that the wine is not released for business factors. Since we don’t make a lot of vintage, it’s important for it to be quality. The previous rosé vintage was ’99. It has been a long time since the previous rosé vintage. Me: What about grower Champagnes? This isn’t the way they think, and they’re quite popular now. Brun: “They are very small so most of them can’t afford to have reserve wines, so they can’t make nonvintage. Every time you decide not to make a vintage, to make the reserve wines, you know those wines are going to enter into the nonvintage, which is the entry level. So it’s a difficult business decision for them. Me: You age them on their own lees for that long? Don’t some of them lose their freshness? Brun: “They age very smoothly. You have an anaerobic atmosphere because they are on their lees. 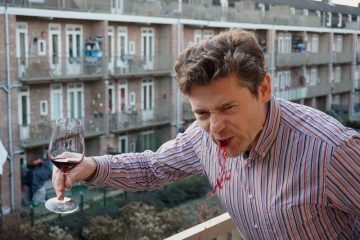 Me: Does the grape variety make a difference? Brun: “We are using both Pinot Noir and Chardonnay. They offer different profiles, and we need both. Pinot Meunier peaks much earlier. We don’t use any Pinot Meunier in the reserve wines. Me: How was the 2015 harvest? Me: How many growers do you buy from? Me: What impacts have you seen of climate change? All photos courtesy of Colangelo & Partners Public Relations. Nice article Blake, reserve wines are indeed the strength of the non vintage Champagne. And a Champagne House is judged on the quality of its non-vintage. But very few champagne houses are selling 2007 base right now… Charles Heidieck is a House known for its very long aging – and it stands out for that because this is far from the norm. The average aging is 2-3 years so most Champagnes one finds today are from the 2011,2012 or 2013 vintage. Also very few houses have reserve wines going back decades. Besides Heidsieck there is Krug with a vast library, but this again is the exception rather than the rule.